Last week, a story made the rounds about an Indonesian man who reportedly died at the golden age of 146. And everyone’s wondering: what was his secret to living longer? First off, it’s hard to know if Saparman Sodimejo, also known as Mbah Gotho, was quite that old. If he were, there would be no record of it: Indonesia didn’t start keeping birth records until 30 years after his supposed birth date. But that doesn’t mean Sodimejo didn’t live a very long life. He was certainly a centenarian, and outlived four wives and five children. And, surprisingly, he did it without paying much mind to the food he ate or advice to quit smoking. According to his grandson, Sodimejo was a heavy smoker and almost never took ill. 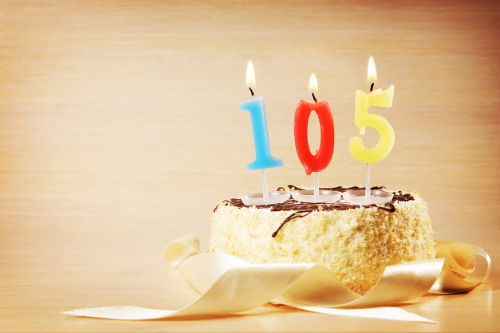 Most scientists agree that the maximum lifespan is about 115 to 120 years. But, as I’m sure you’re aware, it’s not that common. And, although Sodimejo may have defied all the odds, he is certainly not alone. For example, along the western coast of southern Italy lies the town of Acciaroli, where a population of 2,000 has had 300 people celebrate their 100th birthday. The town—rather unsurprisingly—has very low rates of heart disease and Alzheimer’s, while many inhabitants smoke just like Sodimejo. As much as geography and genetics play a role in healthy aging, there are scientifically backed measures anyone can take to extend their lives—none of which, by the way, include cigarettes! The centenarians of Acciaroli all tend to get plenty of exercise. It is believed they spend lots of time hiking and hill walking to get from town to their homes, meaning they lead a very active lifestyle. This has benefits for both the heart and mind—a number of associations between exercise and longevity exist. One such form of exercise, high-intensity interval training (HIIT), has been shown to reverse the cellular aging process better than other varieties. Although it might not have been the case for Sodimejo, the people of Acciaroli also eat a healthy diet. Based on where they live, they subscribe to a Mediterranean diet that’s high in vegetables and healthy fats from fish and olive oil. Omega-3s in particular, which are found in high amounts in freshwater fish, could slow oxidation in the brain, promote nerve cell connections, and delay conditions like Alzheimer’s. Furthermore, the omega-3s from fish are the primary natural source of docosahexaenoic (DHA) fatty acid. DHA, a key building block in the brain, is known to improve vision and help treat Type 2 diabetes, dementia, and coronary artery disease, among other things. Another key to longevity that seems to span from the shores of Italy to Indonesia and beyond is limiting stress. According to what I’ve read about the people of Acciaroli, not much has changed in their lives over time. Their society has remained relatively laid back, and has avoided the stresses most of the rest of the world has adopted. Sodimejo, according to his grandson, also played it pretty cool. Never one to get too worked up, he took every day as it came, and led a pretty relaxing life. You can try and limit the impact of stress on your life by getting better sleep, eating a Mediterranean-style diet, increasing activity, or participating in meditation or mindfulness. Now, you might not live till 146, but by following the above tips for health and well-being, you could at least set yourself up for a longer, more enjoyable life. After all, if you want to live longer, don’t you want to feel good, too? Devlin, H., “Is it really possible to live until you’re 146? The science of ageing” Guardian, May 2, 2017; https://www.theguardian.com/science/2017/may/02/is-it-really-possible-to-live-until-youre-146-the-science-of-ageing?CMP=fb_gu, last accessed May 4, 2017. Adi, G., “Indonesia’s oldest living person attributes longevity to wholeheartedness,” Jakarta Post, September 3, 2016; http://www.thejakartapost.com/news/2016/09/03/indonesias-oldest-living-person-attributes-longevity-to-wholeheartedness.html, last accessed May 4, 2017. Veciana-Suarez, A., “The type of exercise that will slow aging, according to new study,” Toronto Star, March 27, 2017; https://www.thestar.com/life/2017/03/27/the-type-of-exercise-will-slow-aging-according-to-new-study.html, last accessed May 4, 2017. Worley, W., “The Italian town where residents live to 100 – and scientists want to know why,” The Independent, March 31, 2016; http://www.independent.co.uk/news/science/italy-acciaroli-scientists-investigate-why-residents-one-town-italy-live-long-a6961371.html, last accessed May 4, 2017. Thomas, J., “Omega-3 Fatty Acids in Early Prevention of Inflammatory Neurodegenerative Disease: A Focus on Alzheimer’s Disease,” Biomed Research International, 2015; 2015: 172801. doi: 10.1155/2015/172801, last accessed May 4, 2017. “Find a Vitamin or Supplement; DHA (DOCOSAHEXAENOIC ACID),” WedMD; http://www.webmd.com/vitamins-supplements/ingredientmono-864-dha%20docosahexaenoic%20acid.aspx?activeingredientid=864, last accessed May 9, 2017.